Happy New Year! 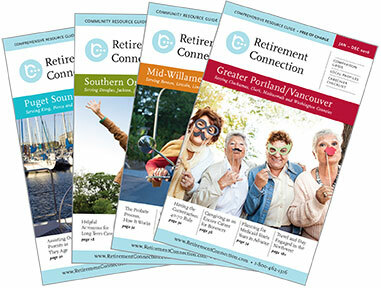 We are starting off the new year with a bang… the guide continues to grow, website traffic is increasing, and more providers are posting events and using RetirementConnection.com as their resource. Thank you for using the guide and website, and for sharing a comprehensive and unbiased resource with the families you serve. We started a new Senior Service Network meeting for providers in Linn and Benton counties. The meeting will be held on the 1st Tuesday each month at Samaritan Albany General Hospital, please help spread the word (details below). Please save the date for the next Salem Hospital Case Manager Resource Fair on March 14th (details below). Registration is currently open for Retirement Connection sponsors and CEU registrations are a priority, the registration will open up to other providers in a few short weeks. 9 AM New Meeting Starting 2018!